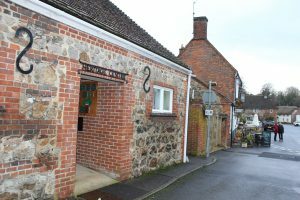 Aldbourne Heritage Centre is concerned with the history and heritage of Aldbourne Village in Wiltshire. It was established by Aldbourne Heritage Group in 2014 and the displays include the Aldbourne Cup, a pottery vessel dating from 1500BC; a collection of bells made in a local bell foundry and various aspects of farming, local industry and the social history of the village. It has a display on the ‘Band of Brothers’ commemorating the history of the nearby Second World War US paratrooper base made famous by an HBO TV series. The Centre also has an extensive archive of 10,000 photographs and hosts regular history talks at the nearby Methodist Church. Unusually, the Heritage Centre is situated in converted public toilets, near the centre of the village. The building is stone, brick and tile and was converted to an internet café by a youth group before it became a heritage centre. It is a small, one-room museum with a modern, well-lit and carpeted interior and public toilets are still situated at one end of the building. It is immediately adjacent to a pub with a Dalek outside. A well-known series of episodes of Dr Who (The Daemons) was filmed in the village in 1971 starring John Pertwee in which the Doctor visits ‘Devils End’ to investigate a satanic vicar and discover the secret of mysterious burial mound. 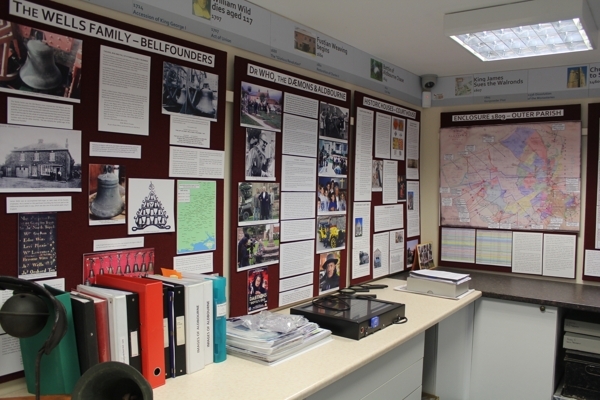 A timeline featuring major episodes in village history runs around the top of the room and current displays covered the bell foundry (including bell ringing and a substantial collection of bells); Dr Who and the Daemons; historic houses; enclosure; notable residents of Aldbourne; the inhabitants of Aldbourne in 1809; the Aldbourne Cup, Aldbourne WI and US Airborne in Aldbourne 1943-4. The Centre also has a substantial website including digital records of Rolls of Honour, grave inscriptions and field maps. Photo and text by Toby Butler.